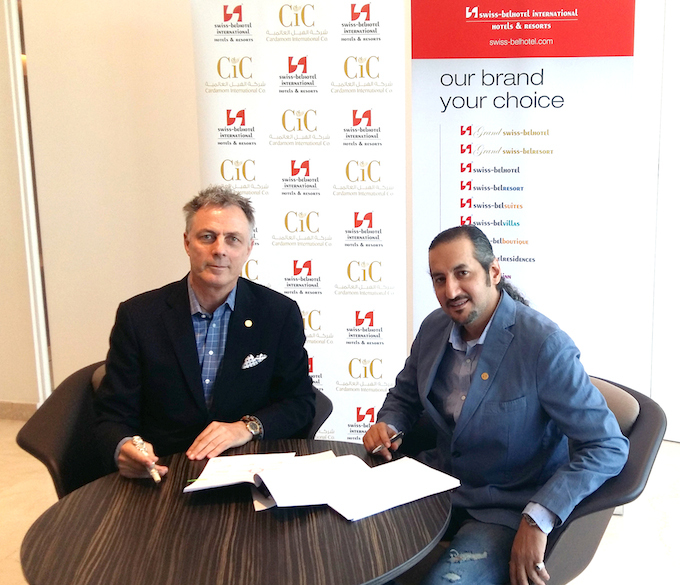 Swiss-Belhotel International has announced its debut into the holy city of Makkah with the signing of Swiss-Belhotel Al Aziziya Makkah in Saudi Arabia. Featuring 525 rooms, the upscale four-star property is owned by Cardamom International Property Management LLC and located in the rapidly expanding hotel hub of Makkah, a few minutes’ drive from Al-Masjid Al-Haram in Al Aziziya. The hotel is expected to be ready for opening by the second quarter of 2018. Making the announcement, Laurent A. Voivenel, Swiss-Belhotel International’s senior vice president, Operations and Development for the Middle East, Africa and India, said, “Saudi Arabia is a key development market for us and we are proud to debut in the Holy City of Makkah with this outstanding project. Nawaf bin Mansour bin Saleh Al Sharif, owner of Cardamom International Property Management, said: “The steady growth of religious tourism in Makkah is fueling demand for high-quality hotels in the city. The hotel’s 525 rooms include a good mix of rooms for groups and families tailored to meet the market needs. It will also feature a restaurant, a lobby café and extensive banquet facilities. Gavin M. Faull, chairman and president of Swiss-Belhotel International, said: “The hospitality industry in Makkah is witnessing remarkable growth at the moment and we are very excited to be part of it. Saudi Arabia currently has the most hotel rooms under construction in the Middle East and North Africa, with 36,742 keys in 85 projects. Makkah is one of the biggest hotel markets in the Kingdom, with 27,000 rooms (compared to 11,000 in Riyadh and 9,400 in Jeddah). The Saudi 2030 Vision recognises the role religious tourism can play in diversifying the economy with religious pilgrims currently contributing two-three per cent of Saudi’s GDP. There are plans to roughly double the capacity to accommodate both Umrah and Hajj visitors to around 15 million and five million respectively by 2020. In addition to massive development of hotels, the Saudi government is investing in major transport infrastructure to grow tourism such as the new Jeddah airport (open 2018) and the Haramain High Speed Rail line (2018) linking the holy cities of Medina and Mecca via King Abdullah Economic City, Rabigh, Jeddah, and the new Jeddah airport.